As writers, we are constantly on the lookout for ways to connect with young readers. Even if we have a social media presence we may not be sure what to include on our web sites, blogs or Twitter feeds that might appeal to our readers themselves vs. their parents, teachers or librarians. This can be especially tricky if you write for preschoolers or other young picture book readers. Recently, my library system, the St. Louis County Library, included a piece in a newsletter about “Rhythm and Tunes” video. My being nosey – yes, I can say it – I clicked through and found a host of videos. Each features a simple song, something rhythmic, and hand motions to bring the rhythm to life. The video that I included above features Jennifer Ilardi, a librarian at the Florissant Valley branch. That’s my branch. Not only is it my branch now, it is the branch I grew up with so I’m admittedly biased. Jennifer also still carries on over my son although he’s no longer a precious kindergartener and now towers over her at 6 feet. But anyway, in this video, Jennifer uses simple hand puppets that she made from gloves. In another she rhythmically waves a scarf. You could so something similar with nursery rhymes and folk songs that somehow link to your book. Truly the possibilities are endless. I am currently working on a picture book about a patriotic theme. That leaves out nursery rhymes but I could do Yankee Doodle or This Land Is Your Land. Maybe You’re a Grand Old Flag. Something that really struck me watching this and a few others. The background is super simple. So are the props. If you click through and watch several you’ll note that everyone wears a similar shirt and they do a series of videos with each background – blue, red, green and orange. Just a little food for thought as we all work on our various picture book manuscripts. What Do You Have? An idea, a premise or a plot? Today I had two ideas that I jotted down on my annual list. Yes, I keep a list. It helps me move forward with my current project but also gives me plenty of food for thought when it comes time to develop something new. Although I call everything on the list an idea, I’ve long known that some of them are significantly more fleshed out than others. Then I read one of Janice Hardy’s Fiction University posts from back in May. In “The Difference Between Idea, Premise, Plot and Story,” she discusses just that. An idea is that bare bones spark of inspiration. In my case, the bare bones offerings can be anything from a first line to a character or even the plot problem that launches the whole story. What can I say? My brain is a bit scatty. You never know what it is going to throw at my feet. “A boy attends a boarding school for wizards.” Who knows? That could have been the idea that launched Harry Potter. A premise is the next step. As defined by Hardy it is “a general description of the story you plan to tell, and what the story is about.” It offers just a bit about the character and begins to develop the story, going as far as to describe the story problem. “An orphan struggles to claim his magical heritage at the school where his parents once studied magic.” We know now just a bit about the character and the problems he faces. The plot describes the central conflict. It gives you some idea what the main character needs to achieve to be victorious. I have to admit that most of the ideas I write down are either basic ideas or maybe premises. Every now and again the basic plot pops into my head. More often than not, I have to spend some time working with the idea to get that far. But that’s okay. That’s half the fun of working up a new story! Picture Book Month was the brainchild of Diane de las Casas, an awarding winning author and storyteller who died as a result of smoke inhalation in August of this year. Fortunately, a group of her dedicated friends have stepped forward to keep this initiative alive. 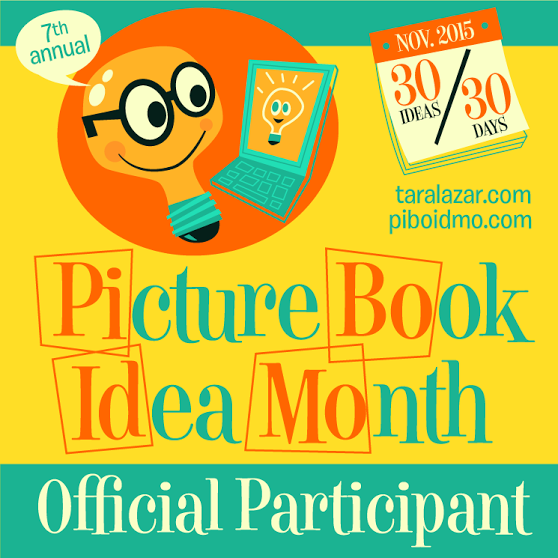 For those of you who haven’t taken part, Picture Book Month isn’t a writing initiative per se. It is all about literacy and a love of these amazing books. Throughout the month of November, pop on over to the web site (link above) and check out the essays written by the big names in picture books. This year you will find pieces by editors, authors and illustrators, and even librarians including Arthur Levine, Betsy Bird, Elizabeth Dulemba, and so many more. The organizers have created a calendar so that you know what is going up when. I’ll paste that in below. Teachers. librarians and parents who want to emphasize picture books with their young readers can visit the Activities page. There they can download coloring pages by Wendy Martin (personally I love the dancing skeleton), activities for Diane’s books, and more. I am going to focus my blog posts for the month on picture books and picture book writing. I can’t promise that they will all focus on picture books since I’ll be posting approximately 20 times in November. If there is a particular picture book related topic that you would like to see me cover, let me know! I’m currently brainstorming a new picture book so I may write about that as well. Why not pop by the library in the next few days and pick up some new-to-you picture books to read? I’ll be making my first batch of requests as soon as I save this post! Last week, I checked Her Right Foot out from the library. I wanted to see how another author handled a patriotic theme that could easily become preachy. Why? Because I’m getting ready to try my hand at a patriotic book. I wanted to see how another author handled a similar topic. Here are three things that I learned reading Dave Eggers book. Start with the Facts. Eggers started with a history of the Statue of Liberty. He covered who first conceived of it and why. He went into when and how it was crafted and what it took to erect it in the United States. For page after page, he focused on indisputable facts. Throw in some humor. Eggers may be writing about a serious topic but he doesn’t pass up the chance to make a cheeky comment. “You have likely heard of a place called France.” “If you have heard of France, you have likely heard of the French. They are the people who live in France.” Silly helps lighten the mood as he moves into serious, even controversial, themes like freedom and immigration. I have to admit that at first I found it a little irreverent, but that’s okay. Because my son, in 3rd grade, would have adored the book that much more because of this somewhat sassy tone. Let your reader take that final step. Eggers has written about immigration. He has written about the Statue of Liberty going out to meet those who are in need of liberty. He doesn’t say that certain people sitting in certain oval-shaped offices might do well to do the same thing. He didn’t write the word Syria. He writes about Lady Liberty stepping down from her pedestal. “She is not content to wait. She must meet them…” But that final step? The one that would take it from teaching to preaching? Eggers doesn’t make it. He leaves it to the reader. Humor helps. Trusting the reader to make connection helps. Sticking with in arguable facts also helps. Fingers crossed that I can manage to pull off something that works even half as well! Are you a member of a Yahoo Group? I belong to . . . six? Eight? In fact, I use one when I teach my class. Sending messages through the group is easier than hoping my students, and I, remember to include everyone on every e-mail. But I won’t be using the group the next time I teach. Over the weekend, I got a message from one of my students. She had Googled her name and found something disturbing. One of the manuscripts she had submitted to the course had appeared in the search. She clicked on it and the manuscript downloaded, complete with all of her contact information. That’s right. Her name, her address and her phone number for everyone to see. Even in a private group, messages are private but attachments are not. As per this article, Yahoo has known about the problem/loop hole but simply not fixed it. If you do a search and come up with a downloadable file on a site with “xa.yimg” as part of the URL you may very well be downloading something from a Yahoo group. I immediately contacted the Muffin administrators since I teach through them. They are letting other instructors who use Yahoo Groups know. I spent yesterday afternoon listening to an audio book and deleting all e-mails with attachments. I’ve been using the group for four years so … ugh. That’s a lot to delete. If you administer a Yahoo Group, get rid of attachements if they include any sensitive information. Yes, it will take some time to check but isn’t it worth it? Interiority. Help your reader connect the dots. Monday, I learned a new-to-me term. Interiority. Interiority consists of a character’s thoughts, feelings, and emotions. It is the stuff that is going on inside her head. Interiority matters because, without it, our character’s actions don’t always make sense. And this is a problem because some of us, myself included, work so hard to show emotions by physical expressions and actions that we may not back them up with enough thought and feeling. I read about interiority in a blog post by Mary Kole. For those of you who don’t recognize her name, Kole is a former agent and current freelance editor. A. Her beloved twin sister who died last week in a swimming accident. What was she doing near the water? She couldn’t swim. B. Her twin sister who had recently started runnig with a wild crowd and died last week in a swimming accident although she was an excellent swimmer. C. The twin sister she despised who had won the gorgeous boyfriend and the college scholarship they had both coveted and, coincidentally, was an excellent swimmer. You need to know what is going on in the character’s head. You need to know the motivation. Why? Because backstory matters. A, B, and C will each yield a very different story. You have to give readers more information than just the raw emotion if you want them to successfully connect the dots. Your character wants something. She tries to attain it and fails. She tries again and fails. Third try for the win! Denouement. That’s plot at its most simple. I’d love to say that mine are far more complicated than that. And sometimes they are. In chapter one. Maybe even all the way through chapter three. But by the time I make it to the end of the story I am writing the main plot line and nothing else. That’s okay because I can go back and fix it. But what do I mean by main plot line? That’s my external plot. That’s your main character vs your antagonist. Most of the time, that antagonist is another human being. Sometimes it is nature. Or time. To give your story depth, it is important to go beyond this external conflict. Include an internal conflict. Your protagonist has a flaw. This flaw feeds into the external conflict. Until the main character addresses said flaw, the chances of achieving her big goal are iffy. But as I was reading a post by K.M. Weiland I saw that she discusses a third plot layer. The main relationship. Yep. Even as things are going from bad to worse, your character has to sort things out with someone else. It might be a love interest if you are writing YA. If you are writing middle grade, it might be a friend or a family member. Or a teacher. As if all of this wasn’t enough, you could also add a subplot. If you protagonist is having to work through a problem concerning self-identity, perhaps the antagonist is as well. Or the side kick could be trying to sort this out. I wish I could remember the name of one of the television shows my husband and I used to watch right after we got married. It was a humorous family drama. If one of the parents was having to work through X problem with a co-worker, one of the kids would be working through a similar problem with a friend or two of the kids would have this type of problem with each other. Because of this, the stories felt layers and nuanced. This sort of thing isn’t going to happen in the first draft. Read through your work-in-progress and see where you can make additions, creating layers to provide the reader with a living breathing story. On Thursday, I spotted a Tweet from Angela Ackerman. It was a graphic about story conflict – Elevate Story Telling Through Added Conflict. I just finished a draft of my early middle grade fantasy. It is a true first draft in that it needs a lot of work. If it was real estate the agent might say that it had good bones. Angela’s link got me thinking about ways to add tension to my story. Add a limit. Some authors do this by limiting the time. They set a deadline or other time limit. The bomb will go off. The captors will come back. The deadline Mom and Dad set will pass. You can also limit space, trapping your protagonist in a limited area. Limiting space won’t work. Not with my setting. But time. I might be able to limit the time. Take something away. Angela recommends taking away your character’s greatest asset. I walk right up to this in my story. My main character ends up in a situation in which her side kick is more comfortable. The problem is that it is only early in the story that I play on this different between the two of them. I need to do it later in the book when it really matters. Hey – that could lead to my subplot! Change the rules. This is something that happens in the Hunger Games all the time. President Snow and the game makers constantly change the rules. Sometimes a tribute can get help. Sometimes they can’t. Things can be taken away. Sometimes the whole playing field literally shifts. Have a key player change teams. I just finished reading Japantown by Barry Lancet. All along, Jim Brodie knows that the bad guys know things they shouldn’t. His team finds a bug. But it isn’t until the end of the story that you find out that one of his most trusted allies is a double agent. Add to the challenge. This is another one that Angela recommends. What more can you give your protagonist to juggle? Instead of having one goal. Give her three. I’ve been watching The Walking Dead with my son. The main characters have to survive which means finding food and avoiding walkers (zombies). This would be tough enough but they are also dealing with a really bad guy. To survive him, they have to find allies but who is safe to approach? You probably can’t get by with doing all of these in one novel. Probably. But if you don’t have enough tension, play with one or more of these ideas and see what will work in your story and your story world. I love taking MOOC. These online classes offer me the opportunity to learn from university and museum faculty from all over the world. And I can do it from my desk which means that I can sit here and knit while watching lectures. (It drives my husband nuts but I really do focus better if my hands are busy.) I take the majority of my classes through Coursera.org. They frequently offer a paid version for those who want college credit but since I’m doing it for fun, I also do it for free. I have to admit that I’ve never taken advantage of a webinar although I can see the benefits. Webinars offer similar content to a conference without the travel expenses. They also tend to be much more affordable. 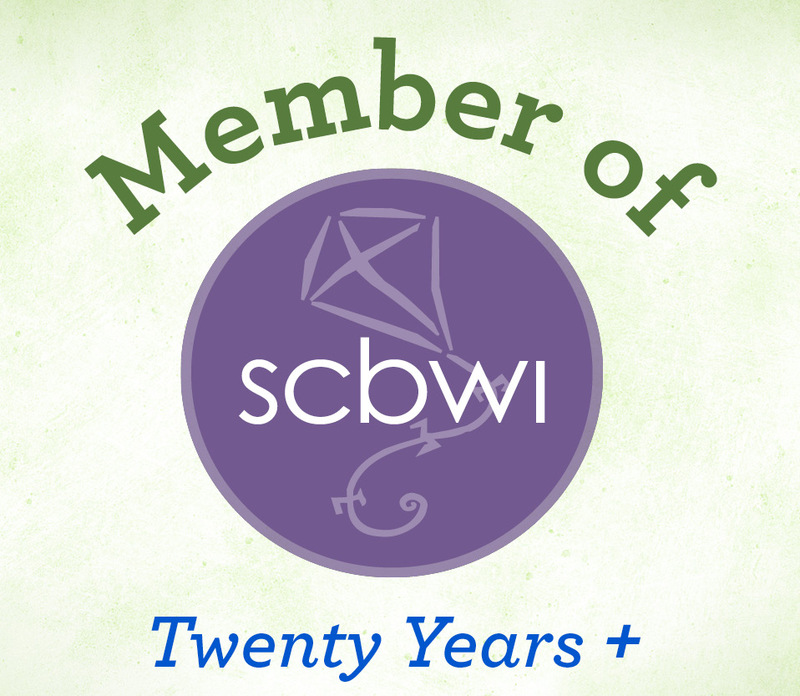 Although Society of Chldren’s Book Writers and Illustrators (SCBWI) regions offer a variety of webinars, you have to go to each regions site to see what they have to offer. With roughly 80 regions worldwide, that’s a lot of sites to look through to find events. Fortunately one region, Nevada SCBWI is cataloging this content so that we can review it all in one place. Just go to their webinars page and see who is offering what. I have to say that the nonfiction webinar and the one on picture book dummies both look really interesting! When you are looking at these listings, be sure to pay attention to the time zones. You don’t want to sign up for something at 6:00 pm Pacific if you will be putting the kids to bed. And also remember that you will need to direct your questions to the region offering the event vs contacting the Nevada Region. Take a look at what’s available and maybe I’ll “see” you there! I know it bothers me when I read but sometimes I wonder if that is just because I’m also a writer. Is it just because I want other writers to do things my way? Today, I got my answer. My son was home from school and we were chatting about videos while we made lunch. He likes to watch various YouTubers who are urban explorers or who check out other eerie situations. The other night, he watched a video where four guys spent the night in a forest in Japan where numerous people to commit suicide. I haven’t seen the video but he said that in spite of the setting, which is super sad, the whole thing was laughable. Why? Because they over did it. They spend so much time psyching each other out that they scare each other. They scare each other so badly that one guy threw up. The super scary noises they kept going on about were wind and rain in their microphone and other electronics. But they kept talking about how super scary it all was. They kept making super scared faces. Did it work? Nope. He had watched a video of another group exploring a haunted hotel. They were moving through the hallways and the rooms. Here and there were abandoned bits of furniture, papers, and whatever. The overall effect was sad and dilapidated. They were busy filming this and that and although their whole party is on-screen, you see someone move past the doorway. That’s all. But because they weren’t playing things up for the camera, it was much spookier. Provide some detail, provide a bit of mood and tone. But then get out of the way. Let your reader connect the dots on his own. If you can pull this off, it will have a much greater effect than piling emotional detail on top of emotional detail. I’m not saying it’s an easy balance but it is necessary. See Craft’s post for several writers who do this well. Study them and practice using the technique yourself. Your readers will thank you as they step into your stories.